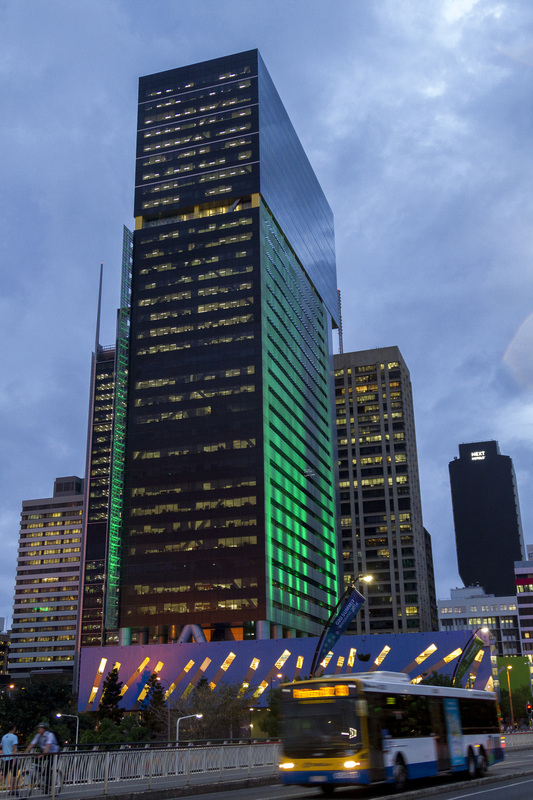 Brisbane’s CBD was transformed into a spectacular light display, highlighting the city’s most celebrated buildings and spaces. In the lead up to the G20 Leaders’ Summit, the Queensland Government’s Colour Me Brisbane project showcased Brisbane’s parks, architecture and contemporary images for international visitors and locals. The view from Victoria Bridge at dusk, an office building transforms from grey to green. 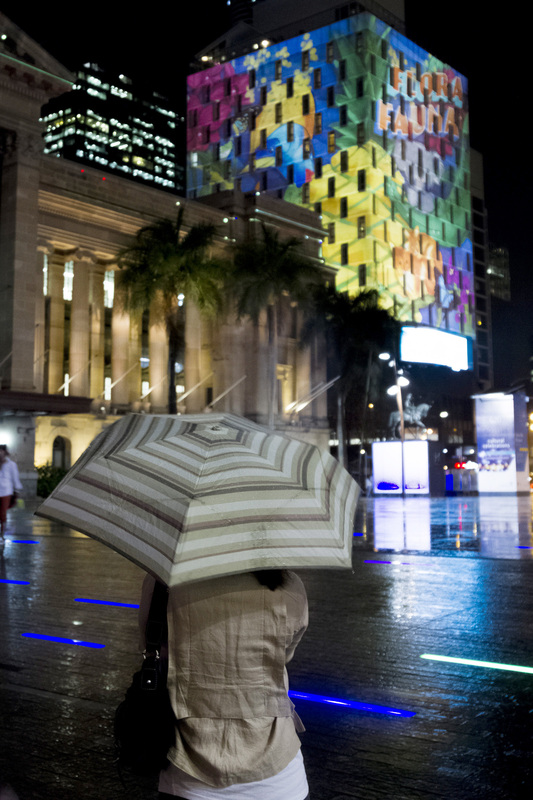 A woman stands in the rain to watch the King George Square light display. 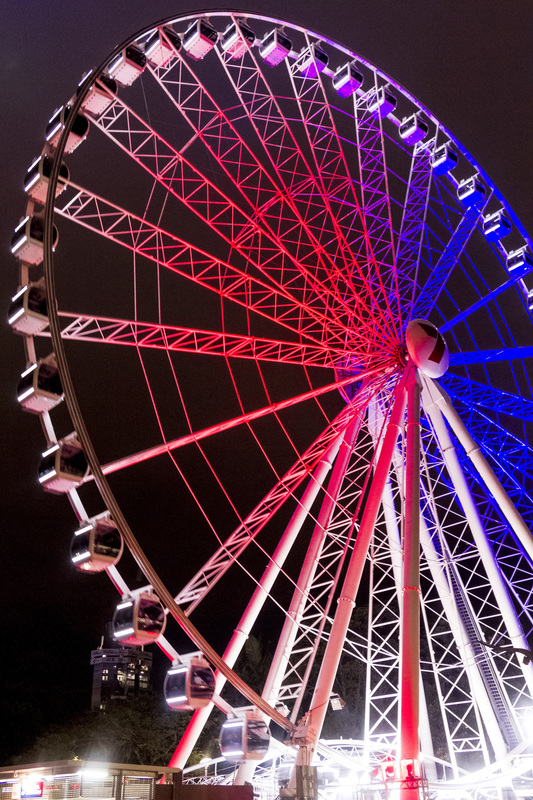 The Wheel of Brisbane bathed in a spectrum of colour. 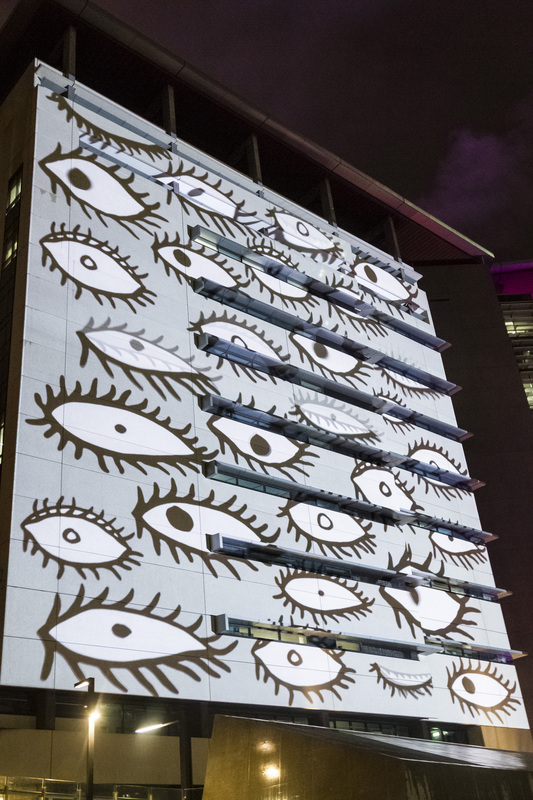 Contemporary images are projected onto a building in the Court’s Lawn.